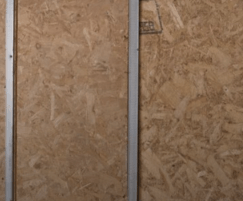 SMARTPLYPATTRESS PLUS, an innovative factory-prepared oriented strand board (OSB), has greatly reduced the time spent on the latest big build project for contractor SD Plastering. The project, at Surrey Quays, Canada Water, London has seen 280 commercial and residential units take shape over the past two years with an additional 160 to follow on. 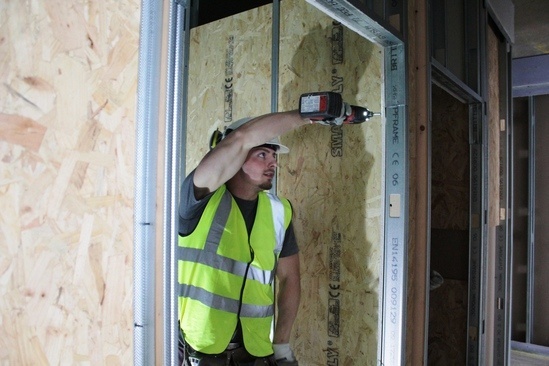 Specially designed SMARTPLY PATTRESS PLUS was chosen over traditional board as the material of choice to provide support for heavy fixtures and fittings in the construction of plasterboard partitions throughout. 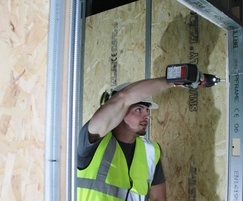 SMARTPLY PATTRESS PLUS features a uniquely designed recess in the rear of the panel, designed to accommodate ‘C’ shaped metal studs meaning the panel will fit snugly to most commercially available drylining systems. The panel significantly reduces install time, without adding any thickness to the final partition. “Pre-rebating the product post-manufacture means that we increase the usability to the installer, cutting down time spent cutting and fitting the product on site,” says David Murray, Innovation Manager at MEDITE SMARTPLY. SMARTPLY PATTRESS PLUS is the first of its kind to be factory-prepared in this manner, and contractors are reaping the rewards. 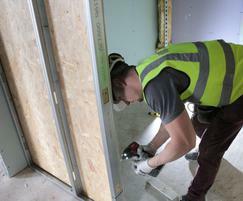 “The fact that the boards do not require as much cutting on site is a really important benefit for us. It saves my teams and I a lot of time on site cutting individual slots in each board. As a result, we have less power tools on site, which reduces cause for concern around health and safety,” says Simon Dixon, Managing Director at SD Plastering. “As you can imagine, cutting that amount of board on site also creates a lot of dust. The elimination of the need to cut the boards removes this extra hazard, further reducing risk to our workers,” continued Simon.